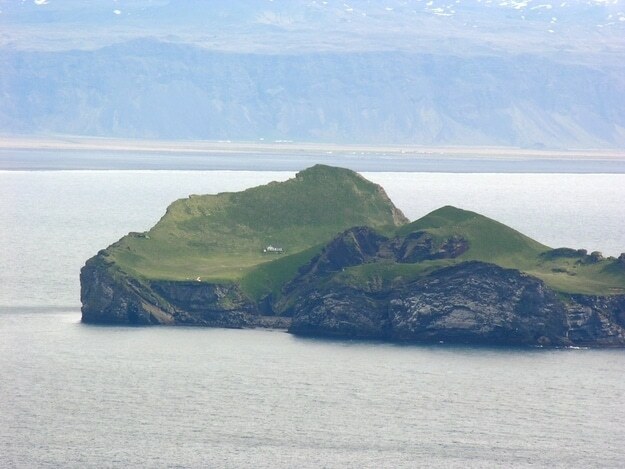 This house located on Iceland and is in a perfect zombie fortified location. The house was given to Bjork from Iceland as a “thank you” for putting Iceland on the international map. But she never accepted the gift because of public outrage. We’ve spent a lot of time discussing the various supplies and strategies once should implement in order to have a successful long-run survival plan. Many of those concepts revolve around having a pre-designated fortified location prepared and established as one of the cornerstones of your plan. It’s a terrific idea to have a somewhat secluded location that you’ve prepped ahead of time that’s already stocked and secured when the time comes. This is the fortress where you’ll have all of your canned goods, stockpiles of fuel, gas powered generators and radio equipment. Establishing a location to escape to before the zombie outbreak happens is an ideal scenario because it allows you to make well thought out and well designed decisions rather than having to hastily throw something together as the zombies are marching down your street. So what does it take to fortify a residence? Let’s just say, you’re going to become well known at your local home improvement store. One cool thing to look into is that many home improvement stores will deliver massive amounts of building materials to your desired location or one flat fee. That means that if your bug out fortress is accessible to a delivery truck, you won’t have to make 75 trips to get all of your materials up there. Think of the benefit of not having to haul 100 bags of concrete, or a pallet of concrete blocks one or two at a time. This can be a huge time saver and it will allow you the opportunity to spend your time fortifying rather than carrying bricks up the driveway. For some locations, delivery will not be an option and you’ll have to take that into account as you plan your fortification process. The ideal location will be remote, but reachable by truck allowing the best of both worlds. Many properties in the Appalachian Mountains of North Carolina and Tennessee are desirable for this very reason. Depending on whether you’re building your new “Homestead of Humanity” from scratch or retrofitting a pre-existing structure will determine the level of skill and the quantity of materials required. For the sake of this conversation, we’ll assume that anyone technically skilled enough to build their own fortified structure from the ground up will not require our feedback and we’ll therefore just focus on retrofitting existing structures. First things first-Fortify any and all access points. The most pressing concern will obviously be doors and windows here. In a last minute emergency situation, ¾” plywood bolted over your access points will work. This will limit your ability to repel attackers and your ingress and egress from the fort, but they will stop or at least slow down intruders. A more ideal solution is to install steel window and door bars over your all of your doors and windows. The steel bar systems allow you to still use your doors and windows AND once they’ve been locked behind you allow you the ability to lay down defensive attacks from relative safety. The nice thing about a bar system is that it gives you pretty much a free field of fire while still giving excellent protection. You may consider purchasing some bricks and mortar and sealing over any overly large or difficult to defend openings. Things like sliding glass doors, or large garden windows are difficult to protect with bar systems or even plywood and so your best bet will be to just seal them off entirely. If you’re not familiar with the process you’ll want to pick up a guidebook on masonry (Black and Decker has a good one that comes with an instructional DVD as well) but it’s something that just about anyone can do. One of the most important things to remember in the fortification process is that there are many different types of concrete and cement. Some are designed for masonry and some are designed for structure or slab construction. You’ll want to ensure you’re selecting the correct form for the project you’re working on. Do not use Quikrete in your walls, because if you do, they will fall down. A good concrete moat surrounding your fortress isn’t a terrible idea, if you’ve got the time and the energy. Moats were employed throughout medieval times with great success and should be consider viable defensive strategies. If you have the land available to you a good deep moat can really stop or slow down intruders, living or undead. If you place the moat a good distance from the homestead (say 15 or 20 yards) you’ll have plenty of room to utilize space for gardening as well as slow down intruders at the optimal distance for target acquisition. So you can relax by your tomato bushes and pick off the zombies as they stumble through your obstacle. A good moat will be between 10 and 15 feet wide and no less than 8 feet deep. You’ll probably want to use an excavator to dig this trench and you’ll want to make sure you don’t cut through any vital resource lines while you’re doing it. I know the electricity will fail once the zombie apocalypse starts, but that’s no reason to cut the lines now if you can help it! Feel free to fashion some outward facing spikes of either wood or metal to surround your moat to ensure maximum difficulty in crossing. Speaking of crossing, don’t forget to install a sturdy and removable walkway to get yourself across your moat. We suggest building two options, one that is light and quickly moved that will sustain only foot traffic and a second more substantial system that can support a vehicle. A modified aluminum ladder will work well for the lightweight option. The heavyweight option will require some creativity and its construction will depend on the size of your vehicles. Throughout this process you’ll most likely come across things that you need that you hadn’t thought of, or come to the realization that you didn’t need nearly as much of one thing as you thought that you would. That’s ok! The whole purpose of the preparation is to come to those realizations before it’s an emergency situation. This way you’ll have time to fine tune and hone in your perfect fortified long-term survival solution. The emphasis here as always is on planning for survival. Remember, make a plan and stay alive.